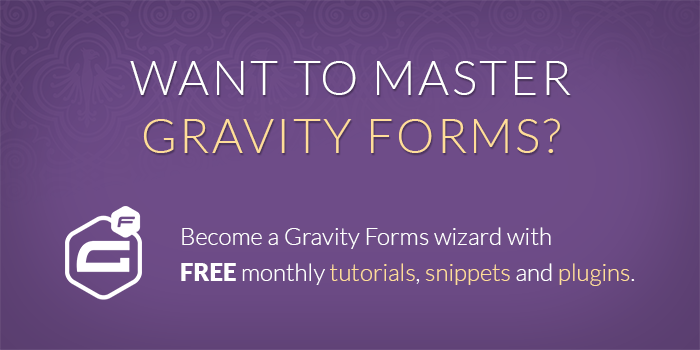 I can’t tell you how excited I am to be publicly releasing Gravity Forms Nested Forms today. 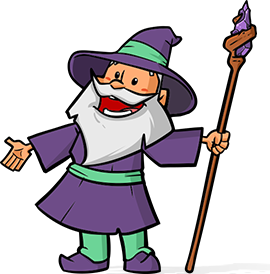 This perk has been in some stage of development for several years, originating as a freelance project and growing into a robust and polished Gravity Forms plugin. Many of our users have already been using this perk via Early Access. We received tons of feedback and have carefully considered and implemented these ideas to create a product we’re truly proud of. Gravity Forms Nested Forms adds a new Nested Form field type. This field allows you to select another form that will be used to collect “child” entries and attach them to the “parent” entry on submission. 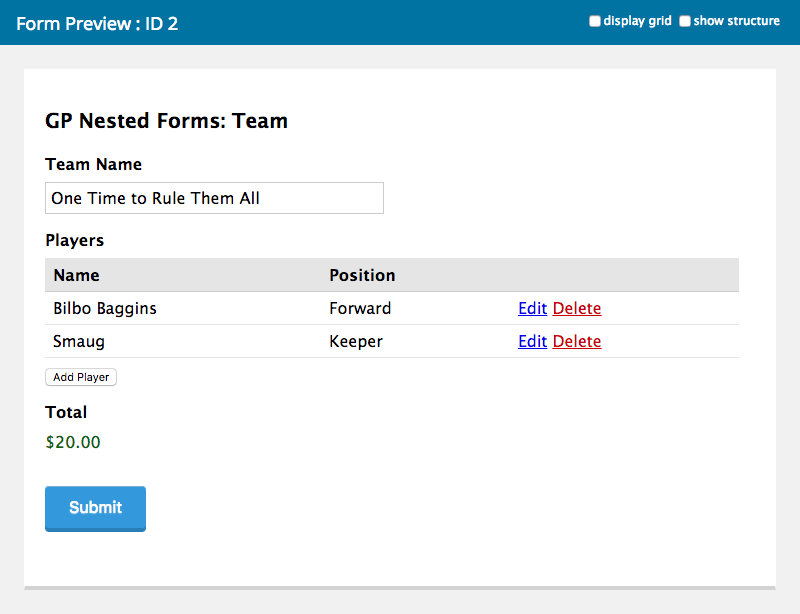 This makes managing complex forms easier for you to manage and easier for your users to complete. We are quite pleased to release the first public beta of Gravity Forms Nested Forms. You can install the new plugin directly from the “Manage Perks” page in your WordPress admin. Here are a selection of features that is new plugin offers. 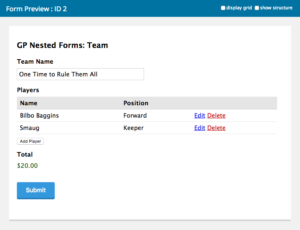 Create forms that are easier for you to manage and easier for your user’s to complete. Register a team and players or a company and employees or a make and models all on the same form. Pull data from your nested forms into your parent form for powerful, dynamic calculations. Helpful UI, flexible templating, and handy hooks. On child form submission – or – only when the parent form is submitted; allows you to do things like register a user for each child entry. Insane! Well-documented hooks and a flexible templating system make extending this plugin a breeze. This is just the tip of the iceberg of what can be done with this new plugin. We’d strongly recommend reading the documentation and checking out the demo there. Hi Preet, we’ll be happy to help you via support. I have installed the nested plugin, but when I complete a nested form etc, it will not initiate when added to the main page. Hi Chris, if you haven’t already, submit a ticket via the support form. We’ll be happy to dig in. this looks great! would this still work with gravity flow? we create “parent” service tickets with “child” service reports that then go to a manager for approval. Hi would you be able to help me outputting a child entry for use with gravity pdf? Currently the parent field merge tag outputs a table of the individual entries in my pdf. Currently the table includes the field labels, which I don’t need. I’d really like to output just the field contents. 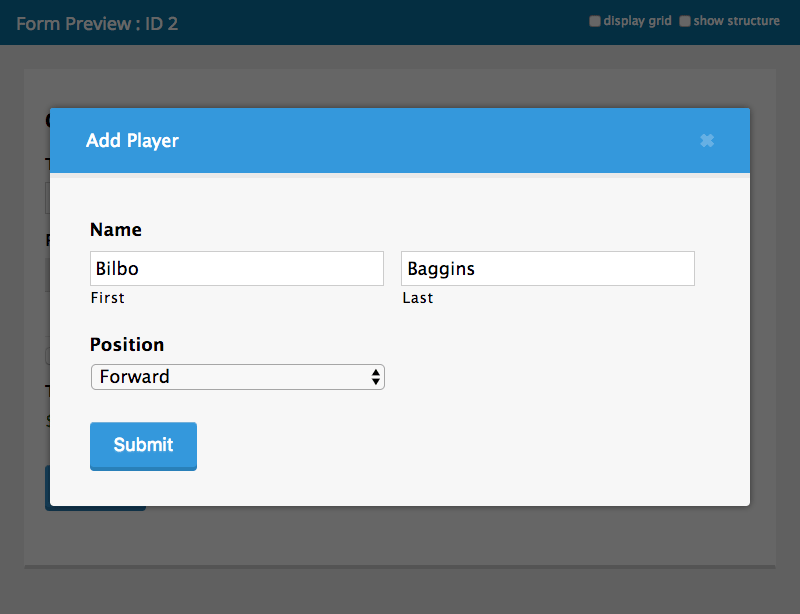 We have definite plans to add better support for controlling the output of the Nested Form field merge tag. Hopefully, this will make it in the 1.0 release. We’ll see! I too am having issue with this plugin and Limit Submissions. Same issue as described by Travis for both plugins/perks. Thanks David! That does work! After installing and activating Nested Forms from Dashboard > Perks > Install Perks, I’m missing the new form field and the perk does not appear under Dashboard > Perks > Manage Perks. I am having the same issue. I have activated Nested Forms but I do not have an option to add a child form to a parent form. Hi Chris, we’re working on an issue where the minimum requirement checks are not being evaluated for this new perk. If you install the new Gravity Perks 2.0-beta-1, you should be good to go. ?